In the official Museum Management Committee Minutes it is noted on the 19th July, 1895 that a ‘Miss Bayfield’ would be engaged at £3 a week to ‘assist in arranging collections and write catalogue of collections’ (S1549 cons1035 1 ‘Minutes – Museum Management Committee, 9-10. State Records Office of WA). In the Annual Report of that same year, a ‘Scientific assistant (temporary)’ position is listed, but no name given. Her employment does not seem to extend beyond 1896: the last mention of her in the minutes is on 24 January 1896 when ‘The Curator States that he expected that Miss Bayfield would have the Catalogues finished up to date within three months’ (S1549 cons1035 1 ‘Minutes – Museum Management Committee, 18-19. State Records Office of WA). As my research engages with the information management side of our institutional history, I was quite curious who was responsible for the Perth Museum’s first data entry. With the help of the Museum Librarian at the WA Museum archives, I found a few references to a Miss Bayfield – in fact, two Miss Bayfields! In the Loans Collection Book for 1895-1953 (ARCH 276 Bay 5, Shelf 3, WA Museum Archives) for August 1, 1895, textile fabrics, jewellery and ‘curios’ from India are listed as loaned from ‘Miss Bayfield’, and in May 1896 a Miss E. A. Bayfield of Perth loans a water colour of ‘Lent Lillies’ by a Miss F. J. Bayfield of Norwich. These are correlated in the newspapers reporting on the Museum (which at that time did incorporate a small collection of Art, but did not become the ‘The Western Australian Museum and Art Gallery’ until 1898). [i] At the new opening of the ‘Geological Museum’ in 1895, Miss Bayfield is referenced directly as having donated the Indian material on display, and acknowledged as an invaluable assistant in the arrangement of the galleries along with the other Museum assistant at the time, the taxidermist Mr Otto Lipfert (The New Geological Museum. The Opening. Western Mail, 2 August 1895, 23-24). The watercolour ‘Lent Lillies’ is listed as donated to the museum in Western Mail, Fri 12 June 1896, 6. Another work by Miss F.J. Bayfield, ‘Roses’, is listed as loaned for exhibition in the Annual Report for 1896-97, and is noted as having been exhibited at the Royal Academy in 1891 (Perth Museum. Curator’s Report for 1896-97. The West Australian, 1 Nov 1897, 3). Through this nugget of information, I was able finally to know a full name: ‘Miss Fanny Jane Bayfield’ of Bracondale, Norwich (Graves, Algernon, A Complete Dictionary of Contributors and their work from its foundation in 1796 to 1904, Vol 1 Abbayne to Carrington, The Royal Academy of the Arts, London, 1905, 148). Her residence at Bracondale pointed me to her family home, and allowed me to identify her as daughter of archaeology and natural history enthusiast Thomas Gabriel Bayfield. Through the information in Thomas Gabriel Bayfield’s obituary I was finally able to connect the dots as to how our Miss Bayfields came to be involved with the Perth Museum! There it stated that Thomas Gabriel Bayfield was married to ‘the eldest daughter of the late Samuel Woodward’ and leaves behind a son and two daughters (Thomas Gabriel Bayfield, of Norwich. Geological Magazine 10 (5), 1893, 240-240). Thomas Gabriel Bayfield was the uncle of Bernard Woodward, Curator of Perth Museum, thus making Bernard Woodward the cousin of the two Miss Bayfields. (Of course it was only after this very circuitous route that I found the direct reference of ‘Miss Bayfield of South Perth’ as the cousin of Mr Bernard Woodward in a newspaper’s ‘Perth Prattle’ section! (The Ladies' Section. Sunday Times (Second Section), 6 April 1913, 13). 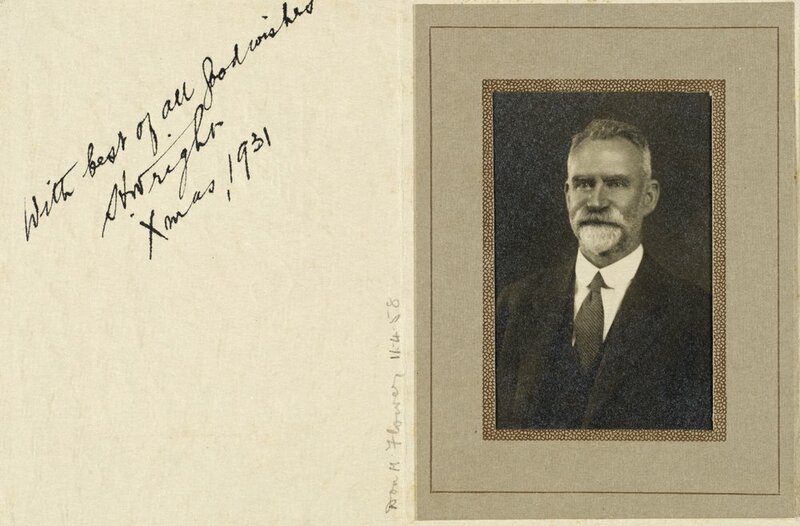 On closer inspection of the early acquisition and loan records for the Perth Museum, the type of material Miss E. A. Bayfield donates or loans gives a picture of a collector of ‘Curios’ other than Australiana, particularly from India, but also South Africa and Ceylon (Sri Lanka). Whether these items were the act of Miss Bayfield’s collecting, or items she may have inherited from her father’s collecting activity, I have not ascertained. Miss Fanny Bayfield’s contributions at first report seem predominantly the product of her own hand, her watercolours (in addition to the two mentioned above, a further two works, ‘Peaches’ and ‘Anemones’ were loaned in 1896 from Woodward (Correspondence. The West Australian, 9 March 1896, 6)). However, Fanny Bayfield was also involved in exchange or supply of faunal specimens, including a Rabbit (Lepus cuniculus), Garrulus glandarius (Eurasian Jay), Perdix rufus (Guernsey Partridge), and Erithacus rubeculus (European Robin) (Register 1896-1900 (PRE-M #1), listed December 9, 1899, WA Museum Archives). These may correspond or be in addition to specimens listed in a letter signed by Miss F. J. Bayfield which is not very legible due to the bleeding of the wet contact copy (x124, Letter Books 5A, no. 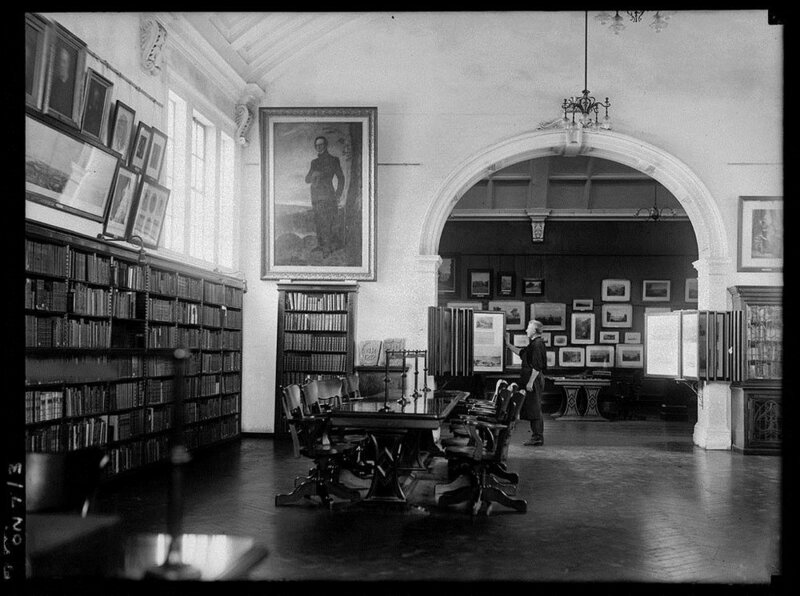 18, WA Museum Archives). The two Miss Bayfields can be recognised as contributors to these early foundational years of what was to become our State Museum and Art Gallery, today represented by the WA Museum and the Art Gallery of Western Australia. They were connected to the burgeoning institution through a direct familial connection to Bernard Woodward. These types of familial contacts can be thought of as part of the broader networks that connected the museum and art worlds at a time of considerable engagement between professional and intellectual individuals globally. These networks facilitated the professional trade and collection of Western Australian material into international collections, and the creation of Western Australian collections of worldly material. The Bayfields contribution, though perhaps small in the larger scheme of things, is one I am happy to have stumbled across. To me they represent how at the end of the nineteenth century small contributions, from family and friends, aided the development of the Perth Museum alongside the official government administration and professional collectors. 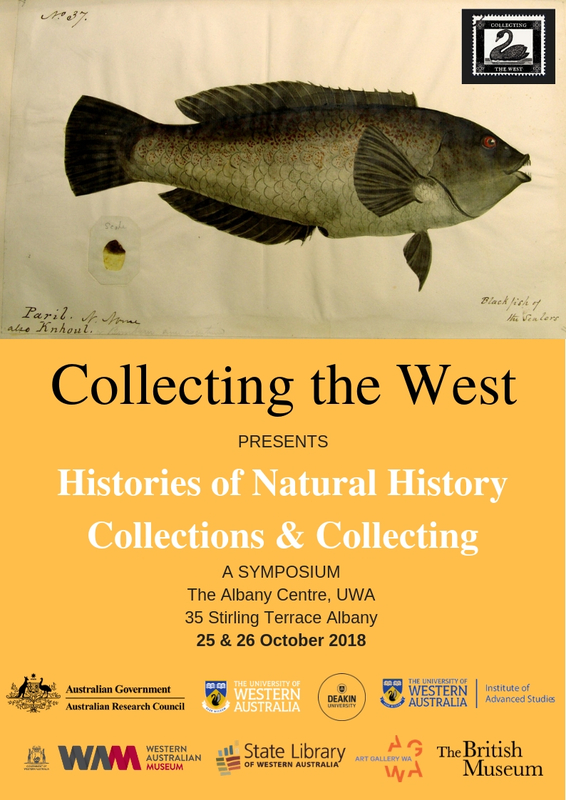 I find these small stories illuminating facets of the larger research on collections of Western Australia we are conducting. [i] The art collection and museum collections were separated through legislation to become the WA Museum (WAM) and Art Gallery of Western Australia (AGWA) in 1960. Any of Fanny Bayfield’s artworks that remained in the collection would have passed into the collections of AGWA. Collecting the West at the Digital Humanities Pathways Forum, Perth, for National Science Week. On Friday 18th May I had the pleasure of presenting at the Digital Humanities Pathways Forum, Perth, held at the Pawsey Supercomputing Centre. This was a meeting of a diverse range of industry and academic professionals interested in digital approaches to studying and activating knowledge in the Humanities, Arts and Social Sciences. A prominent theme of the forum was development and challenges towards building stronger collaboration between the GLAM (Galleries, Libraries, Archives and Museums) and university sectors, both in research and infrastructure. The Collecting the West project exists within this nexus—working with our industry partners to build better knowledge and practice regarding Western Australian collections for the future. Rebecca Repper presenting. Image tweeted by @eResearchSA. The morning session focused on existing projects and industry in Perth, where we heard from Alec Coles and the current initiatives underway as part of the new WA Museum development; Jill Benn from the University of Western Australia Library and how the Libraries can be instrumental infrastructure for digital and collaborative research; Prof Jane Lydon on the ‘Returning Photos’ project which collaborated with several collecting bodies to create a single ongoing digital resource, as well as mediated contact and repatriation of the photographic record to people on country; and Craig Pett on the GALE primary sources digitisation project and the changing use of that resource and its metadata within research. This session gave way to a panel discussion on the connections between the GLAM sector and Universities. Remarks were made on future opportunities to develop these partnerships, and how to ensure the communication and availability of information on, and experiences with, the products of research collaborations. Some emphasis was given for the need to promote ‘deliverables’ beyond that of the standard publication and reports, recognise future students and researchers as integral to our ‘research infrastructure’ and to make sure they have the training and tools at their disposal, and the need to ‘future proof’ knowledge outcomes against redundancy. Our reliance on government funding in Australia was particularly questioned. The afternoon session opened with a series of lightning talks by current research projects, during which I presented my early research into representation of photograph collections in the CIDOC-CRM ontology, and the benefits for understanding and convergence of collections. Other presentations were: Dr Luke Hopper (ECU/WAAPA) on how biomechanics visualisations (more known for their use in producing CGI characters like Gollum and examining Cricket bowling action) were being used to analyse Dance technique; Andrew Woods’ (Curtin) overview of two collaborative projects, one with the WA Museum on their investigation of the HMAS Sydney (II) wreck site, and the other with the State Library on identifying duplicates and correlations within their pictorial collections; and Dr Sam Barron (UWA) on how augmented reality environments might aid in teaching abstract concepts. Discussion then opened to a panel that raised questions around barriers to HASS research and future needs. Infrastructure that can accommodate not only the demands of research but protect it against extreme events (such as weather) was raised. The question of how the HASS sector could promote its research in such a way that emphasised its relevance, which would aid in securing funding and necessary infrastructure, was hotly discussed, as well as whether ‘Digital Humanities’ is an appropriate umbrella term to communicate our research, or just a buzz word that is not being taken seriously. Lastly, should Australia be focusing on international partnerships, or fostering our own national ‘scene’? 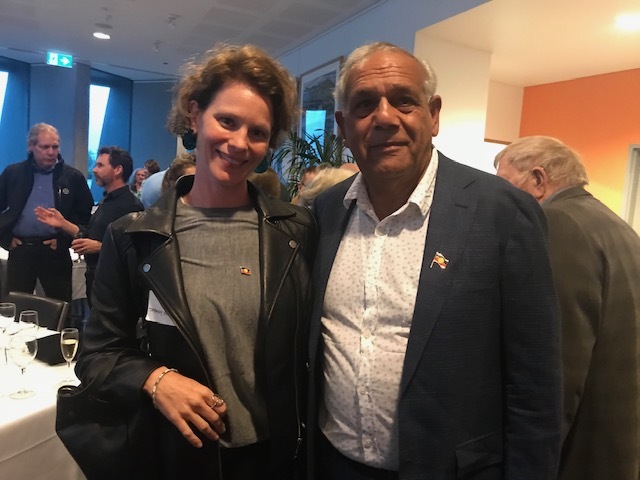 Paul Arthur and Sarah Nisbet in their closing comments emphasised the need for these discussions to occur, and encouraged the Perth community to be proactive in engaging in the broader debate. The day was engaging and an excellent opportunity to network with individuals working in similar fields. There was definitely an eagerness for collaborative projects, but also for their outcomes to have lasting contributions to both knowledge and the wider cultural sector. Alec Coles mentioned Collecting the West specifically in this context. The recent lacklustre contribution by the Federal Government towards National Research Infrastructure for HASS was seen as a set-back, but also a challenge. The turn out and discussion at the forum showed that the Perth research community are already working towards meeting that challenge. The Digital Humanities Oxford Summer School, St Anne's College, Oxford. In July I had the pleasure of focusing on some training for my research project 'Reconnecting Western Australia's Photographic Collections'. I was not even 6 months into my PhD candidacy, but I am planning to be looking at a lot of collection metadata from at least four different institutions. I needed to make sure that what I was envisaging to do was possible (for me), and practical (with the time and resources I have). Therefore, the purpose of this training was to make sure that I understood the basic skills that I would need to access and understand the collection data, and also the possibilities to process that data so that I could ask the questions I needed. Enjoying some networking opportunities at DHOxSS. You might not think about it this way, but cultural heritage institutions like Libraries, Museums and Archives do not just collect items, such as books, paintings or artefacts, but they collect data - a lot of data. 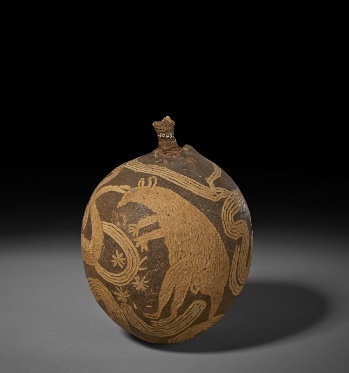 Each 'thing' in their collection has masses of associated information, such as its provenance, where it is from, who created it, who collected it, what the item is, what it is made out of, what is its size, what curatorial department it belongs to, what exhibitions it has been part of, what it depicts or talks about … the list goes on. As I said - LOTS OF DATA! And today, most of this data is stored and processed with computers. I need to make sure I can tell the computer what I want to do with all of that data. My first stop was the lovely University of Oxford to attend the Digital Humanities Oxford Summer School (DHOxSS). Here I was enrolled in the course 'Humanities Data: A Hands-On Approach' which focused on tools, methods and concepts for managing, organizing, cleaning and processing data. This was very much an introductory level series of workshops designed at showing participants just enough so they could identify what may or may not be of use. They started us with an HTML file (what you get when you are on a webpage, right click and 'view page source') and asked us to 'find the data'. I honestly could not find the data - it was an important lesson about not being scared to start familiarizing ourselves with code so that we can problem solve our way forward in a digital world. Over the coming days we were introduced to the light and dark side of MS Excel (it can be your friend, and your darkest enemy), trying our hand at SQL, cleaning data in OpenRefine, visualizing data in open access tools like 'FusionTables', and a taster of Python. These practical workshops were balanced with presentations from current digital humanities projects (you can access them on their Oxford podcast series), and seminars with great information about planning and managing data projects, data structures, copyright and open access of data. I also had the opportunity to meet with a lot of other people working with cultural heritage data and gained some amazing insight into the potential and challenges in our fields of interest. Although I did not learn all the answers and tricks to working with collection data in this week of training, I did learn which tools to start focusing on to start effectively working with my .csv and .xml files of collection data. For the remainder of the month of July, I was placed with The British Museum ResearchSpace project. Here I practically learned how to map a dataset from its source to the CIDOC-CRM standard with the held of Dominic Oldman and the ResearchSpace team, and in such a way that it can be imported into the ResearchSpace platform. I am mapping data into CIDOC-CRM so that I may understand the data about photographs collectively instead of separately. CIDOC-CRM is an information standard developed by the CIDOC Documentation Standards Working Group and the International Council of Museums (ICOM) with the aim to express the full richness of cultural heritage materials' data, and is an official international standard (ISO 21127:2014). This 'richness' expressed by CIDOC-CRM should be ideal for photographs' data because photographs are collected across all types of collecting institutions. Both the State Library of WA and the WA Museum have some of their data available online - so I utilized this data for my training in mapping to CIDOC-CRM. I was surprised at how the mapping process challenged my assumptions about the collection data, and clarified the meaning of data fields. The difference in how the State Library and Museum created photograph 'records' was revealed tangibly through the mapping, despite there being many commonalities in types of information recorded. I am looking forward to delving into the data more to understand these differences and commonalities in the coming years. Through this process I utilized the Google Docs App draw.io to visualize my mapping, OpenRefine to clean and process my datasets from spreadsheets to .xml files, and the 3M mapper tool. I will need to use Python to edit .xml files, but I am still working on my skills in this area. The 'Building Cultural Heritage Knowledge' Symposium, held at The British Museum. Dominic Oldman presenting at the final day Workshop of the 'Building Cultural Heritage Knowledge' Symposium. My month concluded at the ResearchSpace Symposium and workshop 'Building Cultural Heritage Knowledge' where I presented alongside Dr. Toby Burrows, sharing my progress working with and understanding WA's photographic collections. You can read Toby's blog about the conference here on the CTW website. I was able to attend the Symposium thanks to a bursary funded by the conference funder the Andrew W. Mellon Foundation through ResearchSpace, and a UWA Graduate Research School Travel Grant. I can't thank them enough for helping me get to the U.K. for this training. I finished my month very much aware at how much digital methodologies are becoming an integral part of how we manage and research data, and how much there is to learn. The bells and whistles of the digital world can be quite distracting (I strongly recommend listening to some of Andrew Prescott's closing address at DHOxSS), but some of the presentations at DHOxSS and the Research Space Symposium reminded me also of the very practical and necessary outcomes of some of these tools and projects. I feel like I have made a proactive leap to my own data methodology and research, and I strongly recommend anyone wishing to work with collection data to start delving and not be daunted by the digital world.